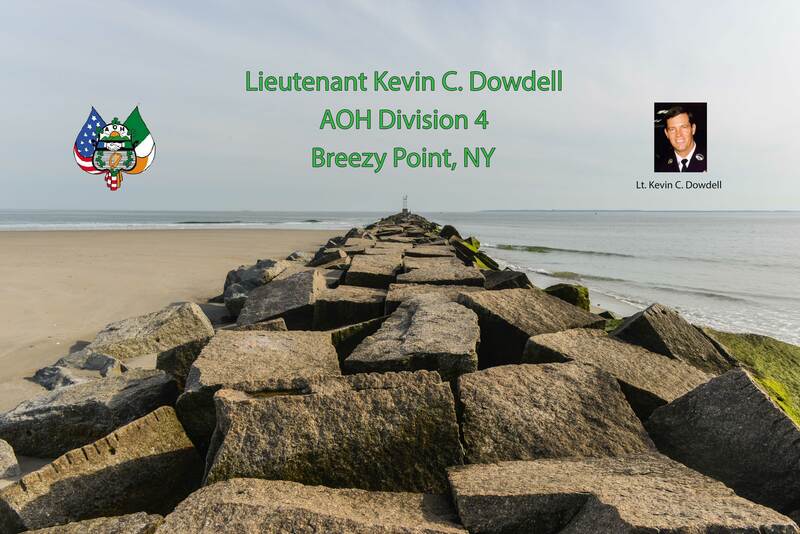 On February 22, 2018, New York State’s newest AOH division, The Lieutenant Kevin C. Dowdell, AOH Division 4, Breezy Point held its formation meeting at the Catholic Club in Breezy Point, Queens. 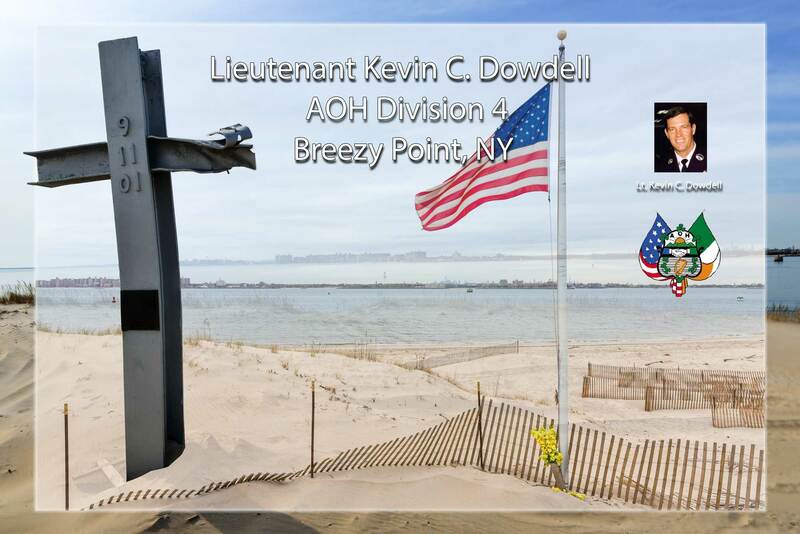 The division’s namesake is Lieutenant Kevin C. Dowdell, of FDNY Rescue 4, a hero who lost his life in the 9/11 terrorist attacks on the World Trade Center. 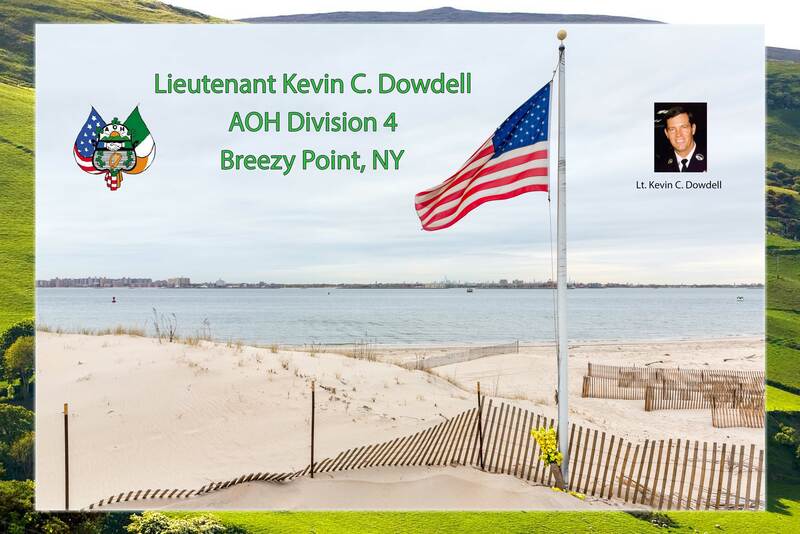 Lieutenant Dowdell’s two sons, Patrick and James are charter members of the division and were elected Vice President and Financial Secretary. The brothers (pictured below) were introduced by Tim McSweeney, National Organizer and were invited to announce the division’s name and speak on behalf of their father. The evening events included the conferral of the Shamrock Degree on more than 20 new members of the Order. Assisting in the ritual were National Organizer Tim McSweeney, National Directors Liam McNabb and Dan Dennehy, National Deputy Organizer Keith Reynolds, State Organizer Kevin Cummings, and State District 5 Director Martin Crimmins. The evening concluded with the nominations, elections and the installation of the new division’s board of officers with State Secretary John Manning serving as the new division’s president. Walter Cooper, Queens County President presided over the installation ceremony. You do not need to create an account or log in to explore our website. 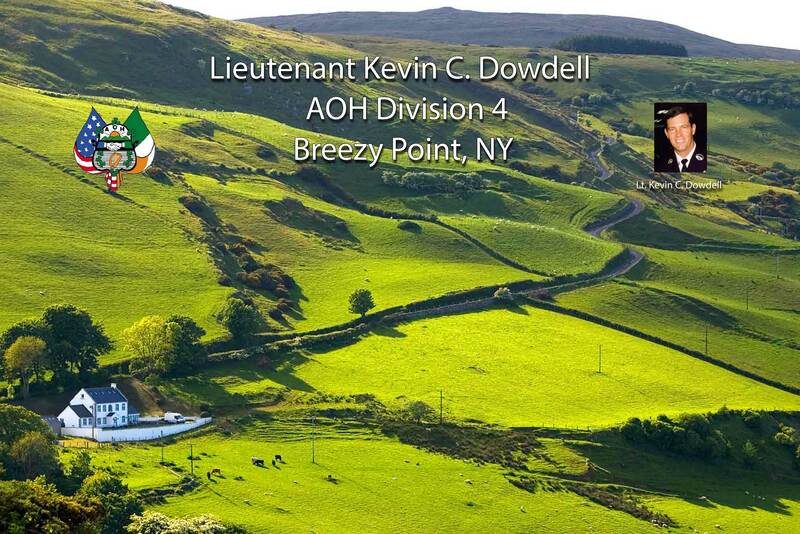 If would like to become a member of the Lt. Kevin C. Dowdell AOH Division 4 you may register by clicking the link at the bottom of the page. There you can fill out an application form. This will not automatically register you on the site, but will notify the officers of the division of your intention too join. Don’t Forget to Buy a T-Shirt!